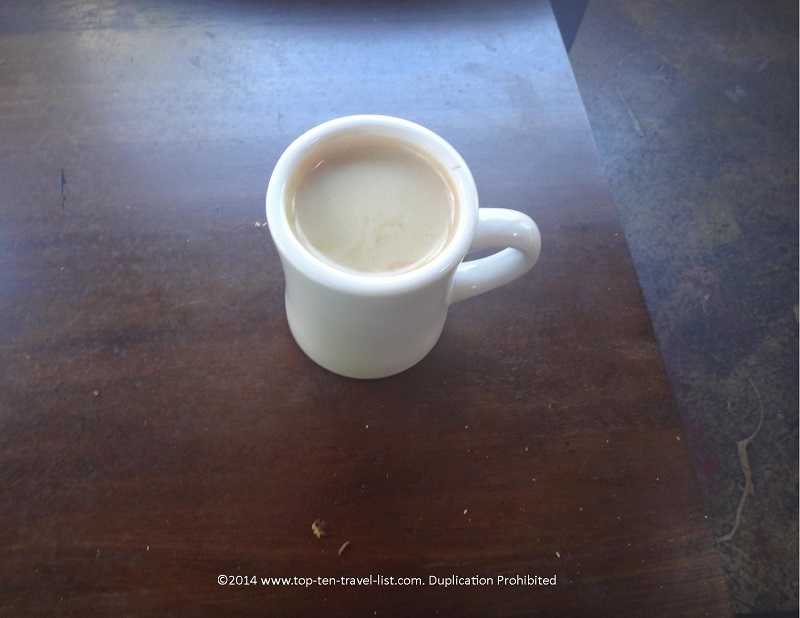 20 Amazing Coffee (and Tea) Shops - Top Ten Travel Blog | Our experiences traveling throughout the US. What makes a coffee shop great? Awesome espresso drinks? A cozy setting? Outstanding service? Ultimately, the difference between a basic and amazing coffee experience comes down to a combination of all 3. 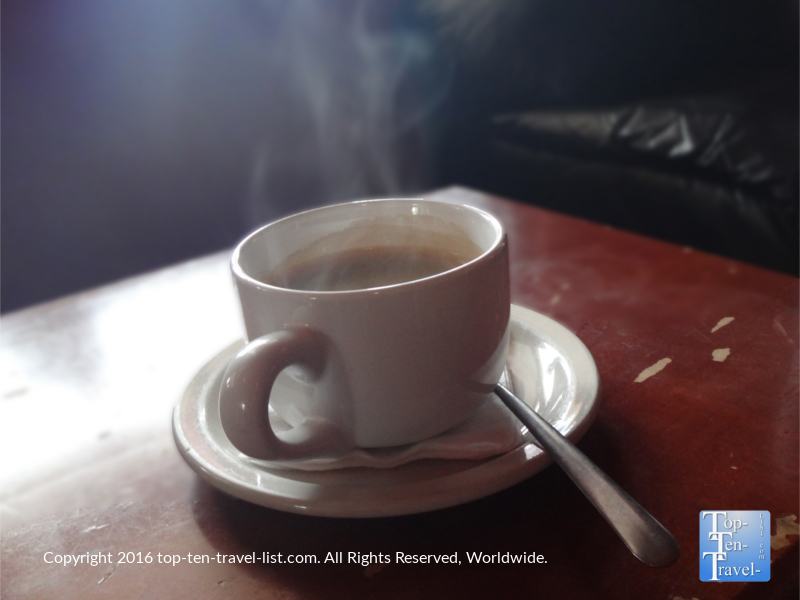 Luckily, you can find at least one interesting coffee shop almost anywhere you go, perhaps even in your own hometown. Take a look at these 17 amazing coffee shops, all of which offer different vibes, all of which are located in various areas of the country. The wonderful options on this list offer an enticing combination of everything you would look for in a great coffee shop experience: excellent drinks, friendly service, and a unique setting. 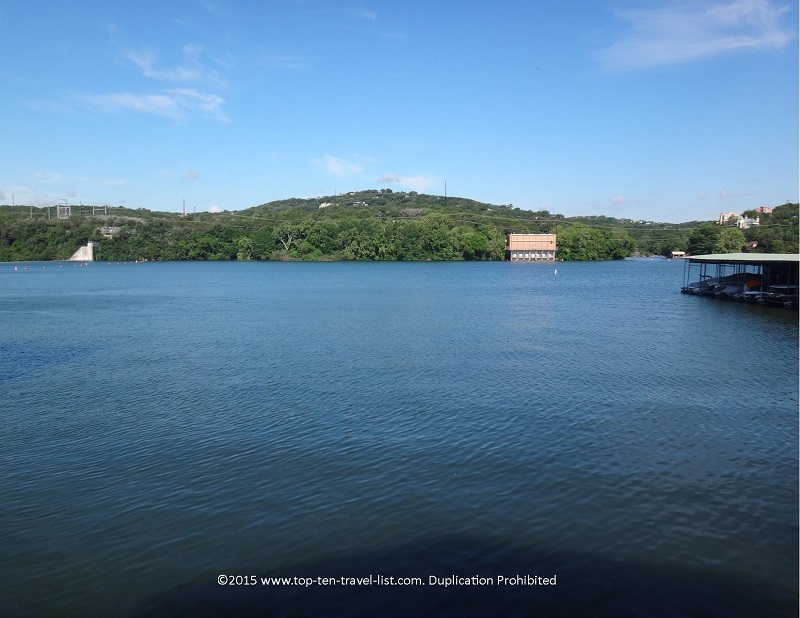 Some have the added bonus of being located nearby some of the country’s most interesting attractions. After 25 years of never drinking coffee, I finally tried out my first cup one random day and have been hooked ever since. Nothing beats a lazy Sunday afternoon sipping a great espresso (or 2). In my quest to find the perfect coffee shop, I have found many worthwhile options, however, I am still holding out for the best. 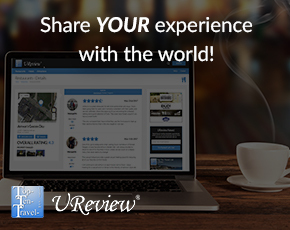 So, feel free to share some of your personal favorites as I am more than willing to travel for the perfect Americano! This cozy little Gulf coast gem is just blocks away from the quiet shores of one of the Gulf’s most gorgeous beaches: Indian Rocks. 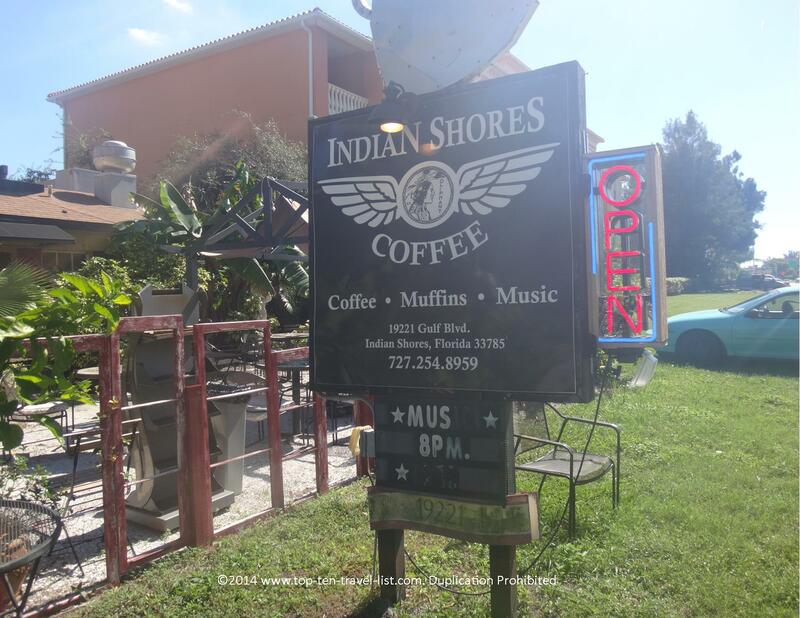 Indian Shores has a lot going for it, most notably the most amazing espresso drinks ever, and a prime location nearby one of Tampa Bay’s best (and fortunately least visited) beaches. Always offering friendly service and quality drinks, a visit to Indian Shores is never a disappointment. And the cozy, breezy outdoor patio (perfect for those mild, sunny Florida winter days) just enhances the attractiveness of this place, definitely topping my list of best Tampa area coffeehouses. It gets even better. Every Friday is open mic night, so you can grab a seat on the outdoor patio, enjoy a glass of wine, and sit back and relax as all your cares melt away. 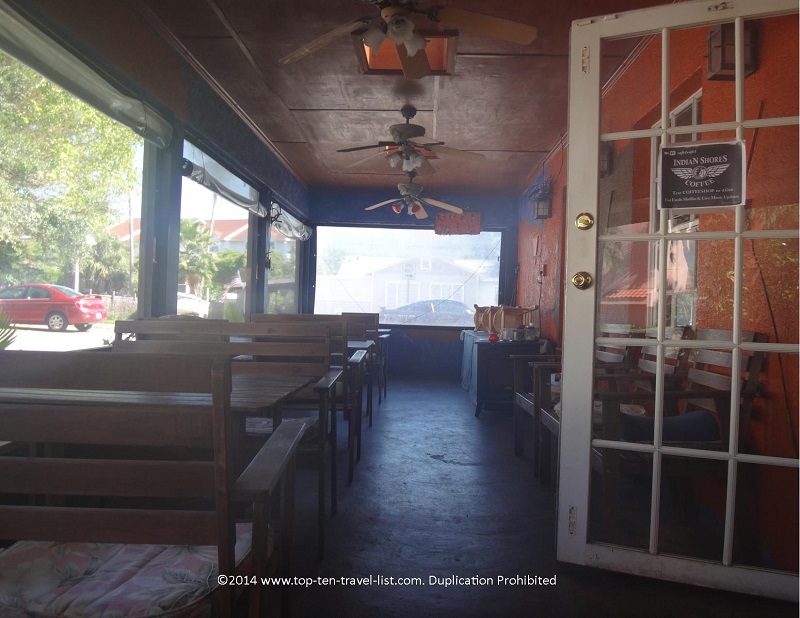 Indian Shores is the coffee shop to visit on any trip to the Tampa Bay area. How could you say no to enjoying a perfect espresso drink on a mild, breezy Florida afternoon, followed by a relaxing day on one of the Gulf’s most serene beaches? What’s nearby? 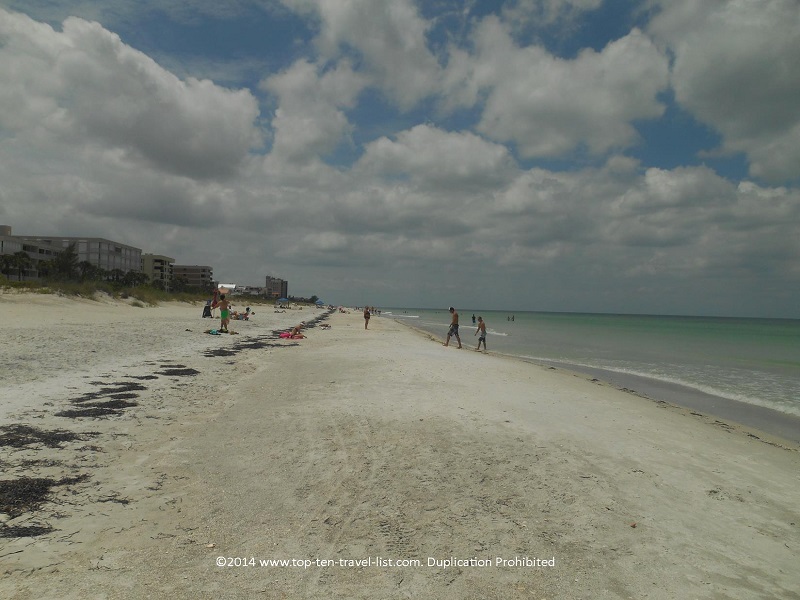 : Beautiful Indian Rocks Beach, a local’s favorite known for its’ many seashells, big waves, and quiet atmosphere. Indian Rocks is one of the quietest and most scenic of the Gulf Coast beaches. Bottomless coffee with a view! Can’t top that! 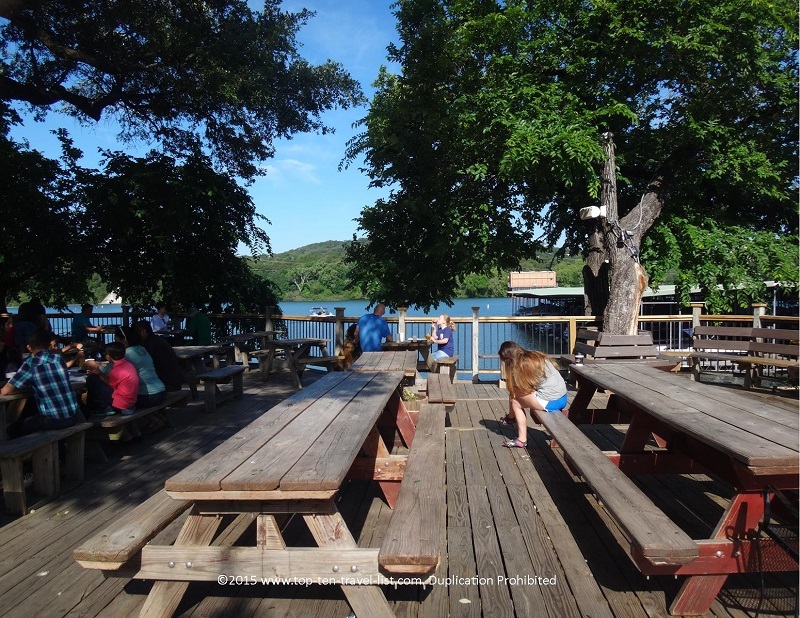 Being directly located on beautiful Lake Austin, Mozart’s Coffee Roasters definitely wins the award for offering one of, if not the most, attractive settings in Austin. And fortunately for coffee lovers, the drinks are just as good as the views! 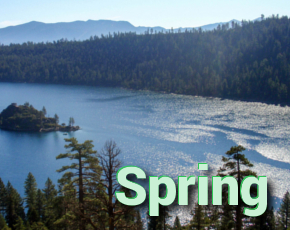 Who could resist a bottomless cup of rich dark roast coffee accompanied by serene lake views? It really is an amazing place to enjoy a cup of coffee, especially on a lazy weekend afternoon. 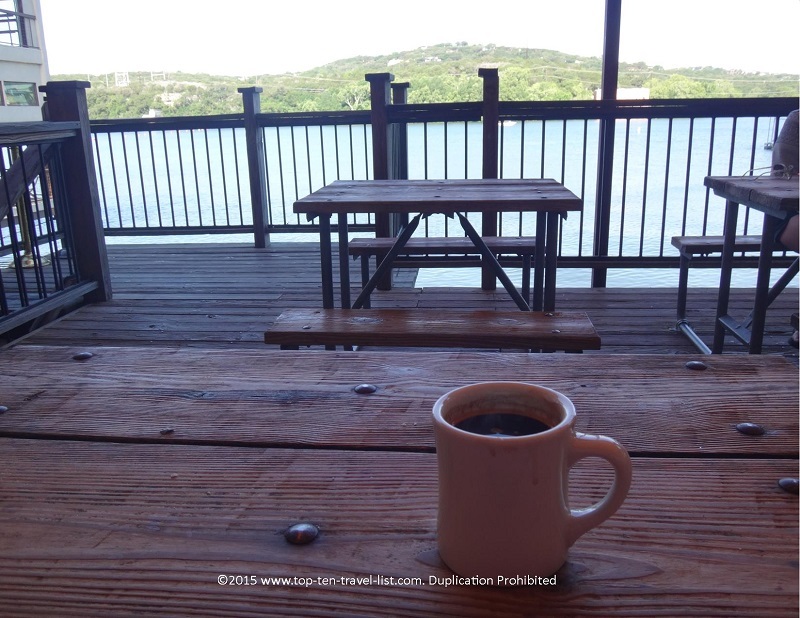 Really, why get a coffee anywhere else when you get the added bonus of peaceful lake views? An on-site bakery is there to tempt you with a nice treat to go along with that cup of joe. And, in keeping up with “Keep Austin Weird” theme, the company offers an extravagant Christmas light show each year. Odd for a coffee shop to put on such an intense show, however, that’s why it’s so great! If you find yourself visiting Austin near the holidays, be sure to enjoy a hot chocolate or seasonal drink while taking in the bright lights of the season. 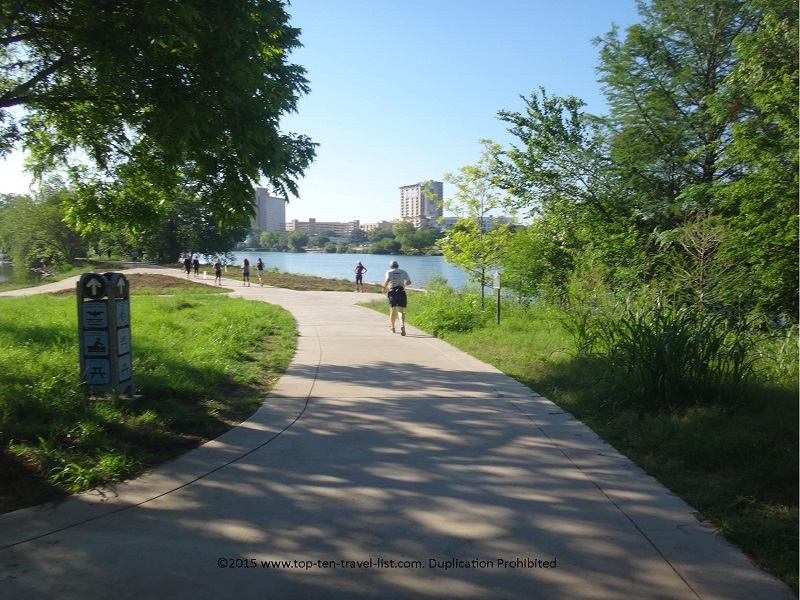 The beautiful paved Lady Bird Trail, complete with gorgeous skyline and lake views!